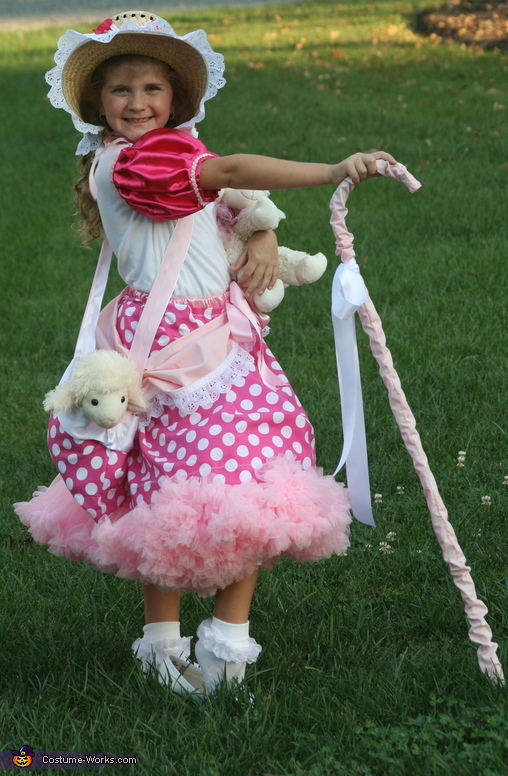 I made this Bo Peep costume for my 7 year old and I added sheep cut from faux leather and sewed them to the back of the skirt to be the "lost sheep". I covered a cheap ($3) bamboo cane with fabric and made a matching bag to carry one of her sheep. I used an inexpensive straw hat and added fabric to pull down the side when tied to give it more of that little Bo Peep look.